Super Eagles of Nigeria and CSKA Moscow winger Ahmed Musa was the chief architect in the 3-0 humiliating loss suffered by Amkar Perm and the trio of fellow Nigerians Fegur Ogude, Brian Idowu and Aaron Samuel in a Russian Premier League match played at the VEB Arena on Wednesday. 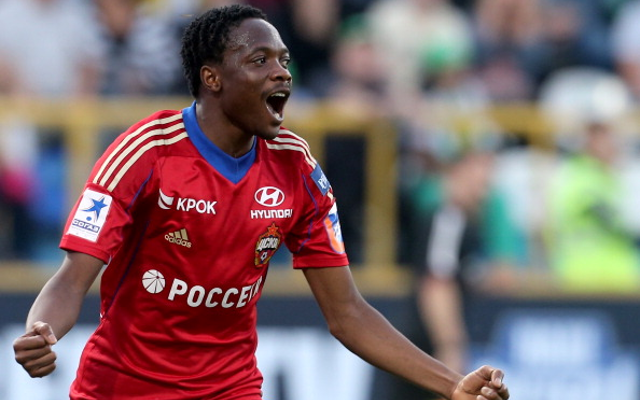 Ahmed Musa, who played the entire 90 minutes grabbed two assists in the game and he was highly instrumental in helping CSKA Moscow easily dispatch struggling Amkar Perm team with three Nigerians on parade. CSKA Moscow took the lead in the 44th minute through Vitinho with Ahmed Musa providing the assist and a minute later in the 45th minute Fedor Chalov made it 2-0 for CSKA Moscow with Ahmed Musa again providing the assist. On resumption of play in the second period, Musa remained a huge menace on the Amkar Perm defence marshalled by Brian Idowu and in the 61st minute Fedor Chalov grabbed his second goal and increased the lead of CSKA Moscow to 3-0. Although Ahmed Musa did not get on the score sheet, he had a great game and terrorised the Amkar Defence non stop with his pace and penetrating runs. Amkar Perm paraded all three Nigerian Aaron Samuel, Fegor Ogude and Bryan Idowu in the game. Aaron Samuel who was playing against his parent club was ineffective in attack and was substituted 46th minute by Dario Bodul, Fegur Ogude was also substituted for Mikhail Gashachenkov in the 71st minute. The third Nigerian in Amkar Perm Bryan Idowu played the entire game was booked in the 71st minute. The win takes CSKA Moscow into the third position on the Russia League table with 48 points from 26 matches, same as fourth-placed Zenit St. Petersburg.